"Just as the Buddha works for the enlightenment of all sentient beings, the Way (of Tea) responds to those who walk the path of Mahayana, those who walk the path of Hinayana, those who practice intently and those who practice casually. Those who instead focus on fastidious details about the handling of each utensil and like practicalities blind themselves from the true meaning of the practice." I've completed a further 13 pages with the accompanying diagrams this month, continuing on from the last time I was with this text. 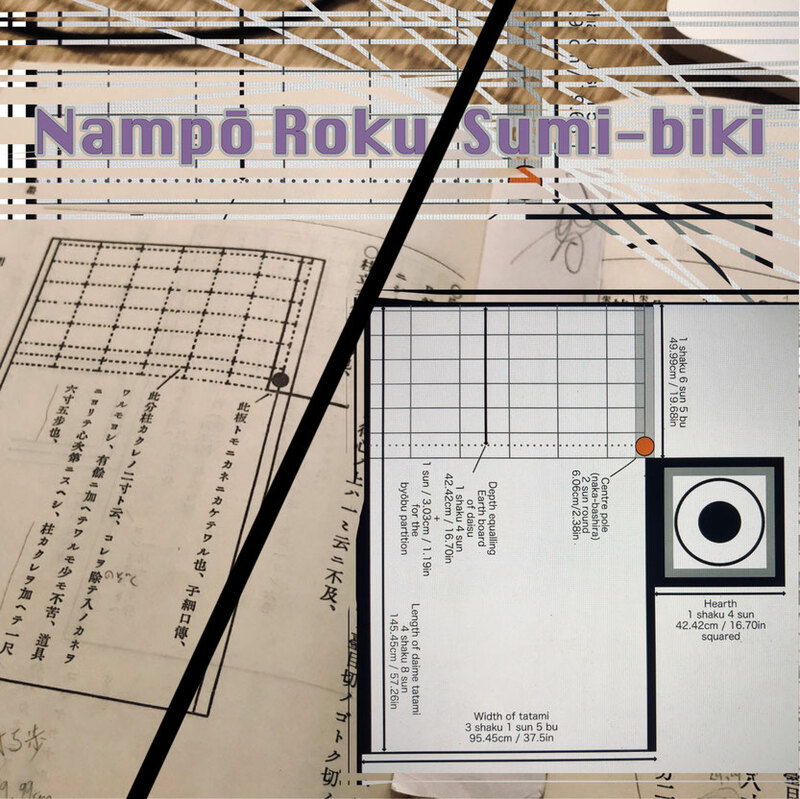 As it takes a fair bit of energy to get re-acquinted with a text, I'm going to keep going with the Nampō Roku Sumi-biki section, translating a little each month and making it available to all patrons at '1. Shin 真' level and above. I've created all the diagrams to scale. I hope they become a valuable resource for you as they are for me. I've also updated the translator's foreword. After some dense paragraphs you get gems like the explanation of the origin of the daime-kiri tatami - pure poetry. And the description and diagram of Ashikaga Yoshimasa's daisu pavilion is fascinating. To get access to the material, please consider becoming a patron on my Patreon. The「1. Shin 真」level (USD$10 a month) will do the trick.